SHAH ALAM: The government should revise the existing laws related to corruption in a holistic and transparent manner, as a serious step towards addressing unscrupulous activities. Malaysian Anti-Corruption Commission (MACC) chief commissioner Tan Sri Abu Kassim Mohamed said all parties should not be complacent with the existing provisions, when in fact it needed to be improved. "Corruption is becoming increasingly sophisticated and complex, requiring an enhancement to the laws through changes and improvements. 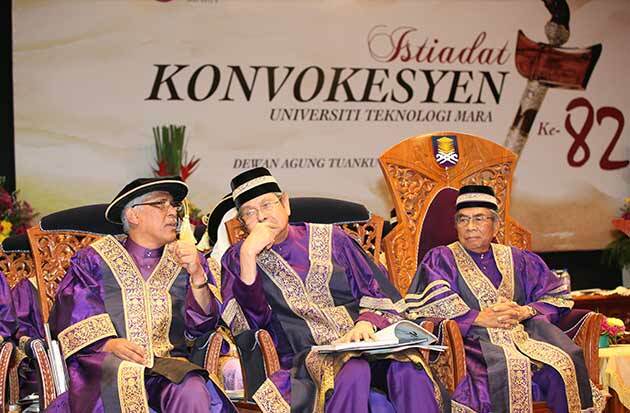 "In fact, some amendments to the law have been recommended to the government as a measure to make MACC more effective," he said in his speech after receiving an honorary Doctorate of Law in conjunction with Universiti Teknologi Mara's (UiTM) 82nd convocation ceremony here today. 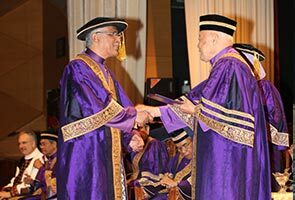 The honorary doctorate was presented by UiTM Pro Chancellor Tan Sri Dr Arshad Ayub. Abu Kassim added that difficulty in obtaining information and evidence of corruption also remained a major challenge in investigations carried out by the commission as the interpretation of existing laws were sometimes not in favour of MACC's investigation. This was because the high standards set for proof made it necessary for MACC to constantly explore new approaches to convince the court during prosecutions.